Epstein Barr Virus (EBV), also known as mononucleosis or mono, is a virus that is transmitted from human to human through body fluids. EBV is commonly referred to as the kissing disease but can be spread through many different types of contact including through the blood and seminal fluid. Although many people are carriers of this virus, some experience moderate to debilitating symptoms that can make life difficult. In this article I cover symptoms, causes, and my top remedies for Epstein Barr Virus. Although Epstein Barr can affect anyone, it seems that those who are younger (especially college age) and up to 40 years old are at higher risk (1). Other factors that may put a person at higher risk of contracting EBV are weakened immunity and intimate contact with varying partners. If you have been infected with Epstein Barr, it can sometimes be weeks before you have any symptoms. The initial stages of symptoms may resemble those of a cold or flu and include: fatigue, fever, sore throat, swollen lymph nodes in the neck, and general lethargy. Although these initial symptoms may diminish within a few days, many experience a nagging fatigue that just won’t seem to go away. Some may also experience chronic pain throughout the body and in more rare cases, a swollen and painful spleen. Just like any virus, you become a carrier of EBV by coming in contact with it. In the case of EBV this is commonly through saliva from kissing, sharing drinks, or sometimes picked up from shared surfaces like toys. In rare cases, EBV can be contracted from blood transfusions, organ transplantation, or oral exposure to seminal fluids. The extent to which you will experience EBV symptoms depends on the strength and coordination of your immune system. An intact immune system should be able to handle viral exposure with minimal or no symptoms but those who are immunocompromised will likely experience lasting symptoms. Being able to detect the presence of EBV is the first step in employing specific strategies to help your body heal it. The first major sign to look for is a sudden onset of the flu-like symptoms described above, followed by a residual feeling of chronic fatigue. This residual fatigue that is sometimes accompanied by sudden onset of chronic pain is very indicative of EBV. For my patients that have experienced this phenomenon I recommend having a Complete Blood Count and functional lab work done to look for specific indicators of EBV. A complete blood count (CBC) is a commonly used blood draw test that looks at the distribution of an individual’s blood cells. In a healthy person, there is an expected balance of the different types of blood cells. Many people understand that there are both white and red blood cells; white blood cells regulate the immune system, while red blood cells carry oxygen to our tissues. Because white blood cells are responsible for a huge proportion of immunity, they can be observed clinically through a CBC for signs of elevated immune activity. In the case of mono, you would likely see elevated lymphocytes and monocytes. Lymphocytes include natural killer (NK) cells, T cells, and B cells. Residing in the lymph fluid, these three regulate the body’s short-term and long-term immune responses. An elevated level indicates an increase in immune activity likely due to viral presence. Monocytes play a similar role in immunity by forming macrophages. Macrophages are immune cells that reside in specific tissues and protect them from infiltration of foreign materials (such as viruses). In a complete blood count, a proportion of white blood cells are observed and represented as a proportion out of 100 (as a percentage). A lymphocyte proportion of over 40% and a monocyte count of over 7% are indicative of viral infection. While the CBC is great at detecting abnormal immune system status, it doesn’t do much for telling what exactly is causing it. After seeing elevated lymphocytes and monocytes on a CBC, a viral panel can be used to determine the presence of specific viruses in the body. My Comprehensive Viral Panel looks at 5 different indicators of EBV in addition to cytomegalovirus, herpes simplex, human herpes type 6, varicella zoster, and rubeola. 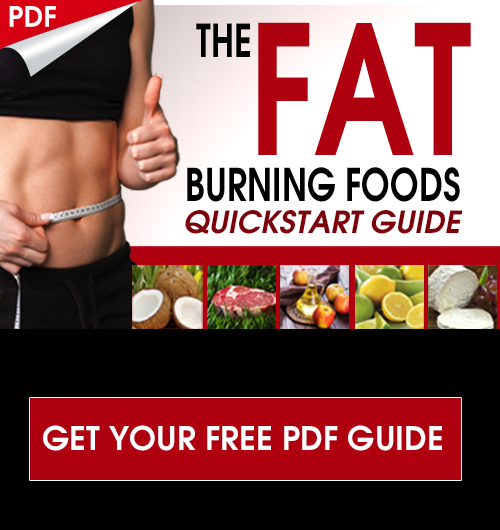 Upon detection, targeted strategies such as the ones listed in this article can be used to help your body fight off EBV and free yourself from the nagging symptoms. Conventional treatment of EBV is very much focused on the mitigation of symptoms and little else. Common approaches include prescription steroids and pain medications to help the individual cope with fatigue and pain. The common understanding is that there is very little we can do to get rid of a virus. By supporting the body through these 7 natural remedies, you can speed up the time it takes to overcome EBV. 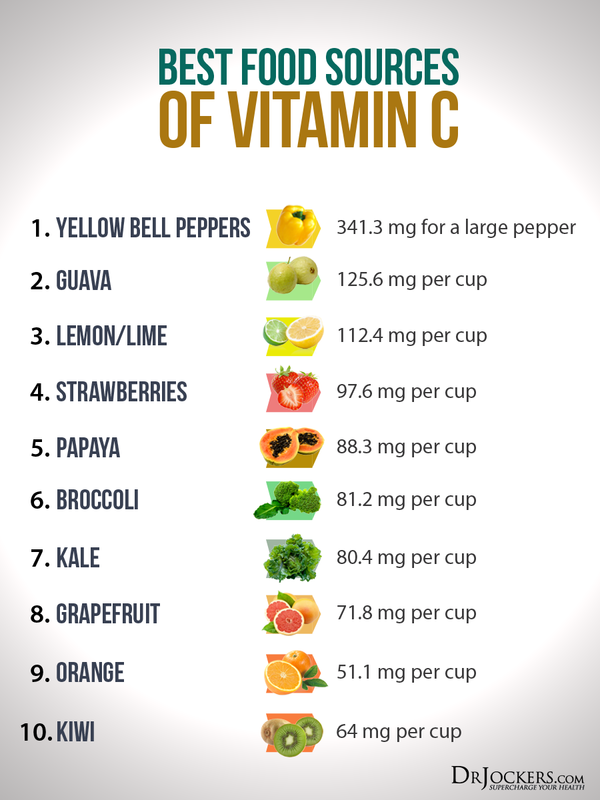 We all know and love Vitamin C as a traditional cold and flu remedy, but this vitamin can actually have a powerful impact on Epstein Barr. A 2014 study observed the effects of high-dose IV vitamin C on EBV and found that it both lowered the presence of the virus in the body while also reducing the duration of symptoms (2). The doses used within the study are hard to obtain in the diet, ranging from 7.5-50 grams. While small amounts of vitamin C can be obtained from the diet, you may look into supplementation with encapsulated or IV vitamin C from a qualified professional. Zinc has long been known as an effective anti-viral compound. Commonly found in lozenges marketed to speed healing from cold or flu, it is thought that having optimal zinc levels in the body inhibits the replication of viruses. This is because zinc potentiates human cytokine interferon alpha which is a protein whose primary role is to inhibit viral replication (3). Zinc also supports the production of a powerful antioxidant call superoxide dismutase which protects your cells from the damaging effects of viral pathogens. Finally, zinc helps to downregulate the inflammatory response of the body which can help keep the immune system functioning properly. It is estimated that 25% of the world’s population is zinc deficient so this one is important! It is thought that because Epstein Barr is a strain of the herpes virus that it has similar benefits. Arginine is another amino acid that has been shown to promote the growth and survival of viral pathogens in the body. It has been proposed that lysine provides an antiviral effect by directly opposing the effects of arginine (4). Beta Glucan is a powerful immune-regulatory agent. This means it can stimulate or inhibit immunity depending on the needs of the body. In the case of an infection like EBV, the immune system can become overwhelmed. Instead of a swift eradication of the virus, you get immune discoordination and systemic inflammation. Beta Glucan activates both short and long-term immune responses to allow a more efficient activity of the immune system and increase the chances of fighting off infection. One way it does this is by binding to macrophages and boosting their ability to target and destroy foreign pathogens. Olive leaf is a powerful herb with a long history of use. It has been shown particularly helpful for supporting the immune system due to its anti-bacterial, anti-fungal, and anti-viral effects. The effects of olive leaf are beneficial for many reasons. First, addressing other underlying bad bacteria and fungi is crucial for freeing up the immune system to fight EBV. Additionally, it has been shown that olive leaf extract inhibits viral reproduction. Finally, using olive leaf extract along with other immune support agents like beta-glucan and vitamin C provides multi-faceted support for fighting off an infection. This is exactly why I developed Immuno Charge. It has a therapeutic combination of all three to optimize your immune response from many different angles. It is a key component of my EBV protocol (which I outline at the end of this article). Berberine is a powerful antimicrobial compound isolated from many plants found in nature. A 2017 study looking at nasopharyngeal cancer found that berberine was able to inhibit cancer formation that is commonly associated with EBV. This is due to the inhibition of a specific gene called EBNA1 (Epstein-Barr Nuclear Antigen 1). What is significant about this is that this gene also plays a primary role in the replication and survival of the EB virus (5). Berberine also acts in the GI tract to fight off other unwanted pathogens that may be distracting your immune system from fighting off EBV. Echinacea is a powerful traditional herb for immunity. Commonly used in cold and flu remedies, Echinacea also has strong anti-viral and immunomodulation effects (6). Echinacea may enhance healing from EBV due to its specific antiviral activity while also supporting macrophage activity. Echinacea has also been shown to control the body’s pro-inflammatory responses to viruses. This helps lower systemic inflammation in the body and keep the immune system properly coordinated. Additionally, I would recommend consuming 2 cups of Echinacea w/Elderberry tea daily for a week and then 2 weeks on this Everyday Detox tea and continue to cycle like that – 1 week Echinacea and 2 weeks Everyday Detox. How long do you recommend doing your protocol? I would start with 60-90 days! My father Hamish , 81 fit man all his life – sea swimmer until 5 years ago- cycling his bike 6 weeks ago 10 miles a day . Is now breathless , in his bed – haemoglobin down to 65. Unable to move his body – no energy or power at all. We are a family that use complementary therapy and eat healthily – My dad has been a personal trainer and kept himself fit into his old age – yoga every day also . He has been in hospital for 5 weeks – we discharged him yesterday as they were doing nothing for him and could not fully confirm diagnosis. The consultant say they think it is Angioimmunoblastic T Cell Lymphoma. However on his microbiology summary it says he tested positive for Epstein. Barr virus which I know can mimic cancer. Would be grateful for suggestions having read about you. Hey Heather, it might be helpful! 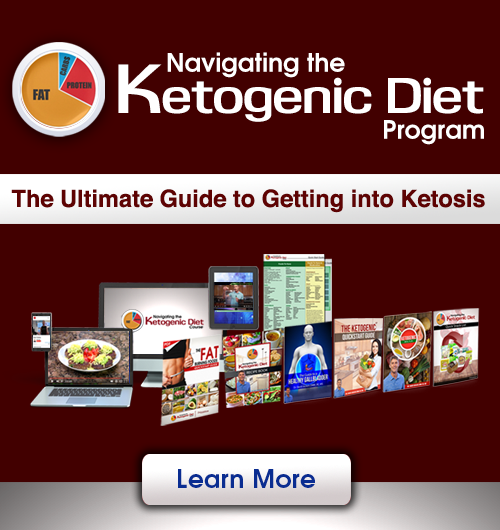 You may also want to consider a ketogenic diet that accounts for food sensitivities, along with immune system modulating compounds such as beta glucan. Thank you Dr., for your information you offered. You are very welcome! Be Blessed! Greetings! Will this protocol work if the EBV was detected a year ago? Will this get rid of the EBV from years ago? Hey Kelli, it may help support your body and immune system to handle any lingering negative effects. It is hard to say exactly without performing a before and after viral panel! I heard what you said about Lymphocytes and Monocytes on the autoimmune summit. Mine are at the high end like you mentioned plus I had mono at age 16 (I’m now 62 with Hoshimotos). The ImmunoCharge sounds like it would help me (I have low WBC at 4 or less with ferritin of 185 last cbc). Would ImmunoCharge be a good suppliment to try? Thank you. Hey Sheree, yes I would recommend the protocol outlined above! I haven’t been conclusively diagnosed with POTS yet but these are pretty much my symptoms. I have read that the Epstein-Barr virus can contribute to these symptoms by affecting the liver.i would value your opinion on this please. I am a heavy reflux patient so for me it’s difficult for the stomach to take supplements (like c for example). Can you tell me what i can do to get a vitamin c boost to help me with my EBV? Hey Jurgen, you might be able to find a local center that does IV Vitamin C! After an emotionally difficult year I was diagnosed with shingles in August of this year. Now I got diagnosed with EBV and starting to get symptoms of MS. I am getting really scared because as you know most doctors don’t want to talk about auto-immune disorders, but just treat the symptoms. Can you recommend a protocol to control EBV so it doesn’t continue to progress to MS? Thank you so much for all you do. The immune-boosting supplement protocol above is a good one Rookmani! Getting plenty of sunlight and doing a 3-5 day water fast 2-4 times per year can be helpful as well. You might want to consider working with one of our health coaches as there are potentially many nuances to this! Once diagnosed with mono, how long would you follow the above protocol? Typically 2-3 months to get results! My son is 4yrs diagnosed with mono last night at the hospital. I have been giving him Motrin and Tylenol but the Dr at the hospital says there is nothing else to give him. His fever is 102.8 it does going down to one degree but nothing significantly, he is very lethargic and doesnt want to eat, asleep his head hurts and he a a small cough. He is miserable, for the most part all he does is sleep is there anything I can do to help him get better? Do you know ID there os a cure for toxoplasmosis? We are praying for you Tania! !